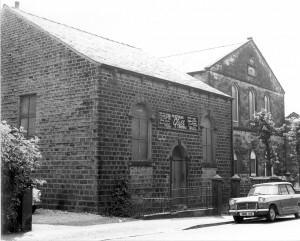 The Howard Family built a Catholic and C of E Church in Old Glossop – and gave them the same name! 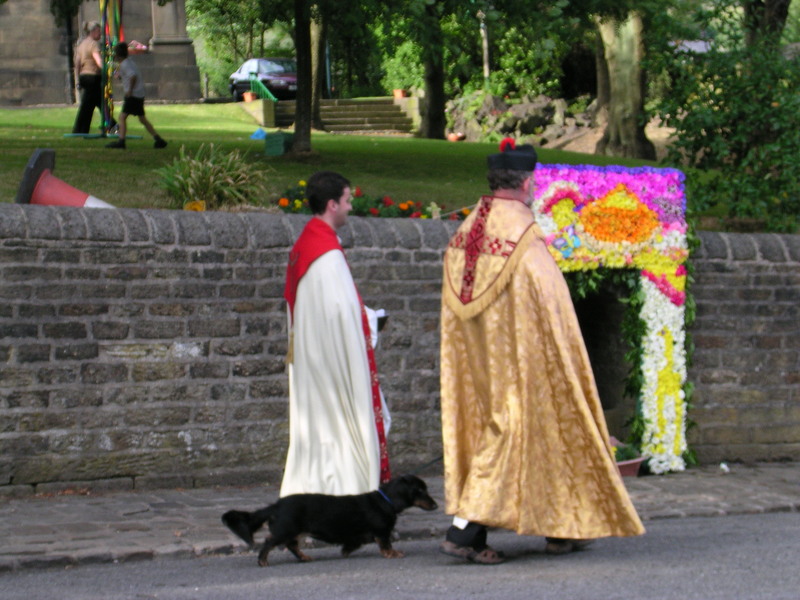 The Church of Glossop is dedicated to All Saints and it is believed that it existed when the monks of Basingwerk Abbey were given the manor of Glossop in a charter of 1157, although nothing of that building has survived. Th e first tower and broached spire is thought to date from the 14th century. The 15th century saw extensive alterations and the oldest surviving fabric is from this period comprising the arch over the Memorial Chapel at the east end of the north aisle. The tower was replaced in 1554; rebuilt slightly to the west and taller than its predecessor. The present day church dates from 1831 when its medieval predecessor was rebuilt and the nave replaced in the Gothic style of the day, using the salvaged stone. 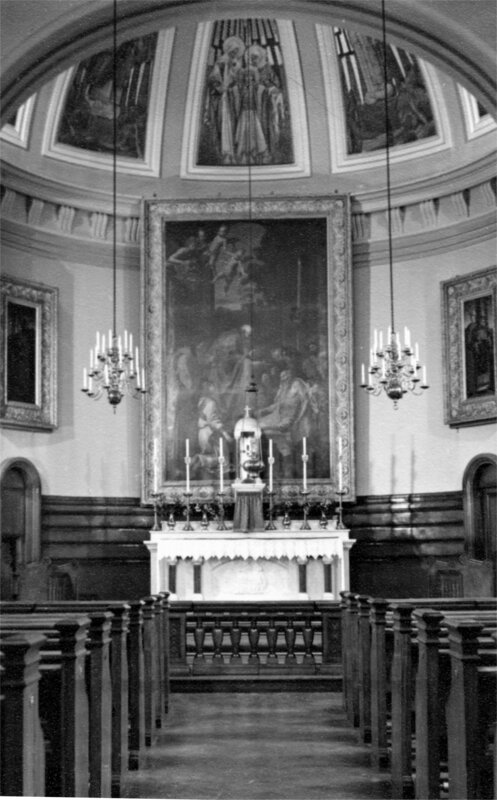 The chancel was replaced soon afterwards as alterations continued into the 19th century. 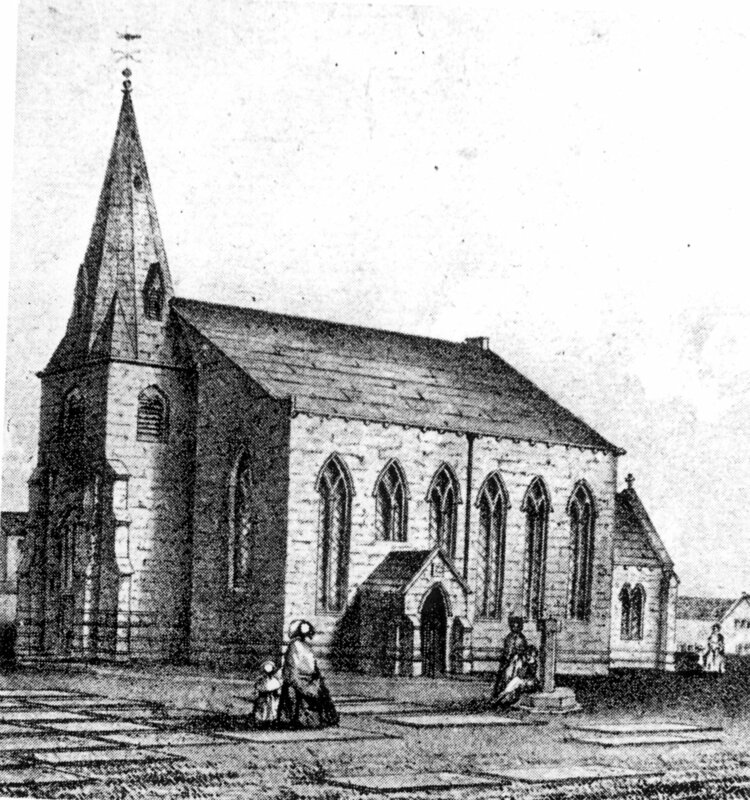 In 1854 the 16th century tower and spire were replaced. Though at the time the nave of 1831 was considered of poor quality, it wasn’t until 1914 that sufficient funds were available to enable it to be rebuilt. 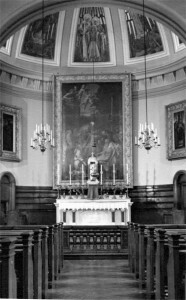 The chancel was also rebuilt and extended in 1923. The Church is typically the tallest building in Old Glossop and therefore visible from a number of vantage points. Its position on a relatively low-lying plateau offers interesting views of its roof and tower from the higher streets to the north, and in all likelihood gives the six bells their very deep and solemn ring. All Saints Roman Catholic Church was built by the Howard Family in 1837. It was their regular place of worship. From Glossop Hall the Duke of Norfolk would head north along the path towards the church, entering onto Meadow Hall Lane through a grand pedestrian gate. When the Howard Family sold the church to the diocese in 1937 the publicity claimed that it could accommodate 600 people! 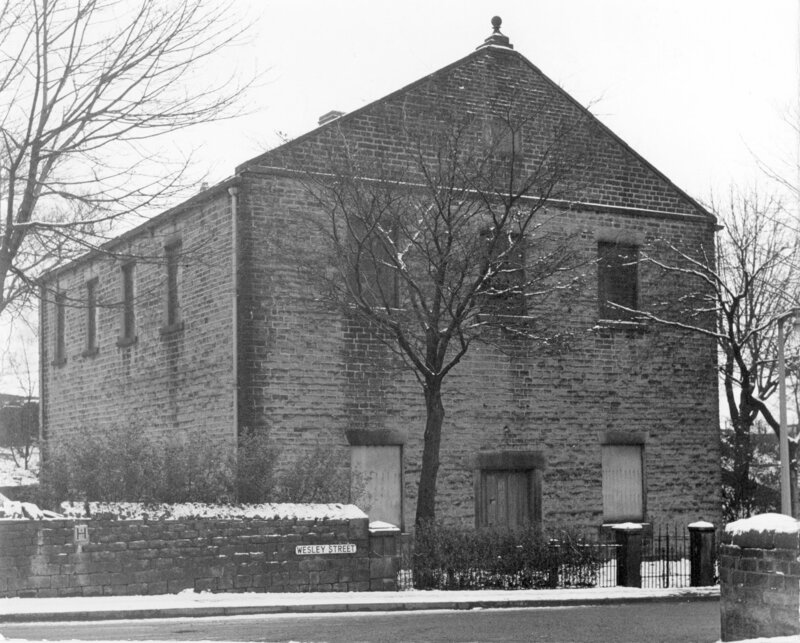 Before reservoirs were constructed for the growing textile industry, the village of Old Glossop and surrounding local community depended on wells for their water supply. Town End Well, one of the two surviving wells in Old Glossop, is in the wall outside All Saints Catholic Church. 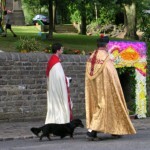 Each year it is dressed as part of the Well Dressing celebrations. Wesley Street takes its name from the Weslyan Chapel that stands opposite the junction with Well Lane. The Wesley Street page provide more information about the chapel and other significant buildings here. 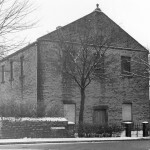 The ‘Tabernacle’ or ‘Tab’ stands almost opposite Manor Park entrance on Manor Park Road and today it is home to “Northern Glass Works’. It was opened in 1837 as a Wesleyan Association Chapel and for 23 years the original Sanctuary served the needs of the congregation well. 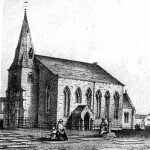 In 1860, to meet the changing needs of a growing congregation a new and more spacious Chapel was opened (next door) with the Sunday school administered from the old chapel. In minute books of the Tabernacle School and Trust, one of the first tasks for the committee on the 31st March, 1856 was “to take into consideration the best means of securing the scholars when at school, and prevent them from running away if possible”. The new chapel closed its doors in 1960, exactly one hundred years after it opened. 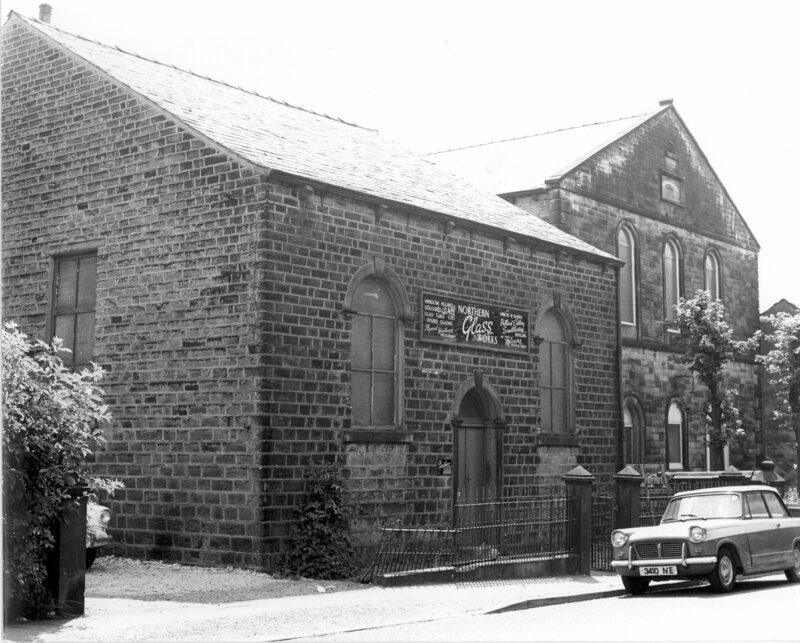 Before moving to the Chapel in Shrewsbury Street, Glossop, the congregation celebrated ‘100 years of splendid traditions’ with a reunion gathering, a souvenir handbook and special service. “We were all in the Tabernacle Sunday School on Sunday and everyone had to give an account of Chapel Sermon, we dare not miss. If we went out before School was over, the Secretary, Wilf Jackson would wait until the service was over, bring out a Hymn Book and clout us with it, girl or boy…The Tab was a lovely School, we had a top room for Parties and Socials and Christmas Coffee Party”. Miss Bennett recalling her memories in ‘I remember – Reminiscences of Glossop before the First World War’, and Track 12 in the audio trail.